There’s nothing quite as productive as being “in the zone.” If you work from home, though, you know how difficult it is to find the zone (and stay there). 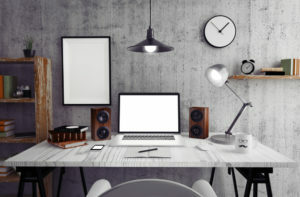 Corporate offices can be busy, but home-based offices and workspaces offer a unique set of challenges and distractions. The good news is that today’s technology can make it a lot easier to turn that extra room or office nook into a fortress of accomplishment. Here’s how. First things first: You need to get organized. Although many of us spend days outfitting our offices with the right furniture and tools of the trade, that effort often only serves as window dressing to a digital life that’s an absolute mess. Digitizing your notes and investing in a solid file storage service can make all the difference when you’re trying to gather your thoughts to meet a critical deadline. Note-taking apps likeEvernote and OneNote are lifesavers, and digital file storage services including Dropbox and Google Drive are indispensable for staying in sync across a variety of devices. It’s easy to flip on a ceiling light and struggle through its harsh glow, but a few strategically placed lamps, along with some smart bulbs, can turn even a boring room into an island of inspiration. Studies have shown that different color temperatures in lighting can have powerful effects on mood and focus.Today’s smart bulbs such as the Philips Hue and Sengled LED bulbs allow you to use an app to quickly dim or turn off the light without getting up from your seat. Their always-on internet connection can even turn the lightbulbs into a non-intrusive notification system: Pair your smart lights with a service such as Stringify or IFTTT, and a graceful flash or pulse of color can notify you of a new message or an important deadline, keeping you informed even when your phone isn’t nearby. Lights can go a long way to getting your head in the right space, but nothing can help you focus quite like the right ambient sound—or the lack thereof, depending upon your preferences. Noise-cancellingBluetooth headphones are an excellent option to consider if you need quiet while you work. But if music is your muse, no home office is complete without a great sound system to get the blood flowing. Wireless home audio systems from companies like Sonos and Klipsch are a fantastic choice, with many offering connections from your turntable or even your cable box. When you rattle the walls with a few great tunes, you never know what ideas might shake loose on a typical Tuesday afternoon. just as you would in other areas of your home.A weekend project and a small investment can go a long way to turning a vanilla workspace into a productivity powerhouse. The next time you’re at the gadget store or talking with your internet service provider, ask to see the latest connected home products and dream up a plan to upgrade your home office and make it smart. It’s one more step toward leaving the competition in the dust. 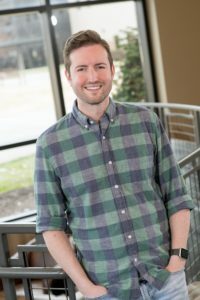 Eric Murrell is a software developer and technology contributor to XFINITY Home He enjoys sharing tips on how people can benefit from incorporating smart home automation and security in their homes on his blog At Home in the Future.